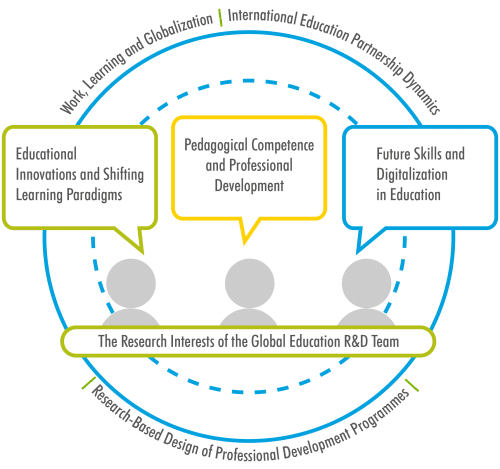 The mission in Global Education R&D -team is to lead research-based design, implementation and assessment of innovative training services for global partners. The focus is in professional teacher education, 21st century leadership and digitalization. The team was established in 2015 and it collaborates with the cluster of international associates and customers of Häme University of Applied Sciences. The team members work also as university lecturers, teacher educators and coaches across diverse industries, and contribute to ongoing educational reforms in Finland. to 2000 participants in Brazil. seven Bologna frame of reference. order to apply them in a variety of learning and teaching environments. development, simulation in education and leading pedagogical change. Altogether ~16 librarians participated the training. draft a development plan for their own library networks. Summary: Altogether ~21 upper secondary teachers participated the training. shadowing and practice in Finnish schools. performance of professional competence study of medical colleges and university graduates in nursing. Altogether ~26 SENAI experts participated the training. in SENAI with Skills competitions on both national and international level. country and in their institute. Competitions and meeting of Finnish Skills experts. The Finnish Vocational Training Workshop: A New Pedagogical Model jointly held by INFOTEP and HAMK received high recognition from the participants. They learned good methodologies, teaching techniques and strategies, as well as new tools for strengthening the vocational training during the workshop. During the panel-conference “A Finnish Look at Curriculum, Teaching and Evaluation Management” organized by INFOTEP on November 30, 2018, HAMK experts Dr. Essi Ryymin, Ms. Pirjo Tuominen and Ms. Nana Niskanen explained that the curriculum of vocational training is based on competencies. At the panel-conference “A Finnish Look at Curriculum, Teaching and Evaluation Management” organized by INFOTEP, HAMK experts Dr. Essi Ryymin, Ms. Pirjo Tuominen and Ms. Nana Niskanen presented the key elements to strengthening vocational training in the country. Prof. Marize Lyra Silva Passos from Instituto Federal do Espírito Santo shares her experiences from studying at HAMK’s VET Teachers for the Future programme in Finland to her fellow teachers. The members of the Global Education R&D visited Tanzania to discover new cooperation possibilities in teacher education with the local universities. This video presents some captured moments from a workshop facilitated by HAMK experts at the Aga Khan University in Dar Es Salaam. 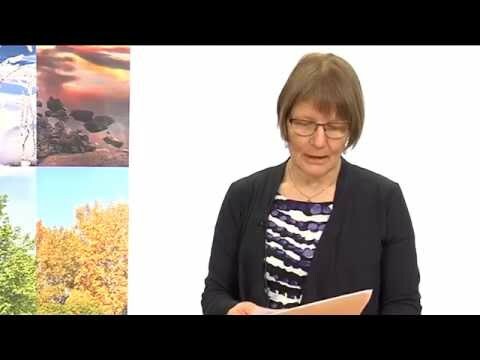 In this video Ms. Seija Mahlamäki-Kultanen, Dean of HAMK School of Professional Teacher Education, opens up the concept of Universities of Applied Sciences and VET in Finland. 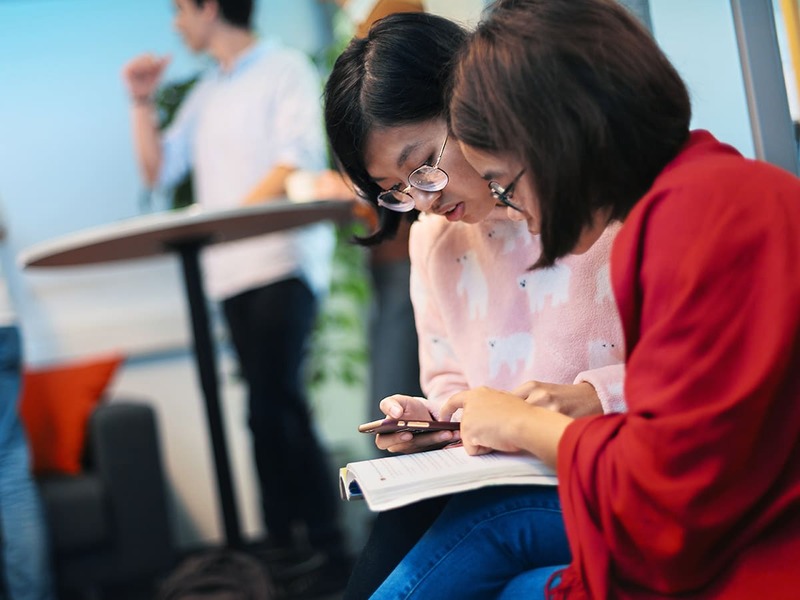 Finnish companies and academic actors have compelling credentials in providing innovative technologies and programs for learning, as well as physical products to improve the environment and conditions for learning. Our solutions are offered to organizations, institutions and companies all over the world who are interested in customized, made-to-measure educational solutions from Finland. By FinProFinland. News by FIESC Santa Catarina, Brazil: International Seminar of Education in Florianópolis​​, Essi Ryymin from Häme University of Applied Sciences as an invited seminar speaker. Liisa Rentola and Essi Ryymin from HAMK University of Applied Sciences Finland presenting in the international conference of FIESC, and training the teachers and the educational developers of SENAI and SESI in Brazil 19.-23.10. 2015. VET Teachers for the Future® – Professional Development Certificate is Finnish-Brazilian teacher training programme for vocational and higher education teachers. ​The program is organized by HAMK, TAMK and Haaga-Helia Universities of Applied Sciences together with CNPq (Conselho Nacional de Desenvolvimento Científico e Tecnológico), the Federal Institute of Education, Science and Technology and Ministry of Education, Brazil. 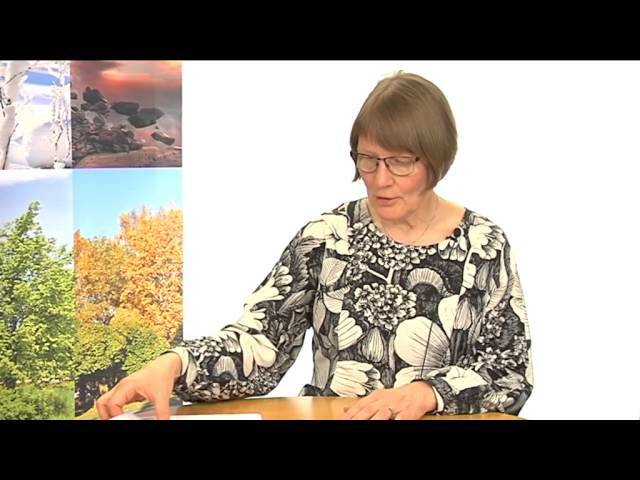 Dr. Helena Aarnio from HAMK University of Applied Sciences, explains the elements of the Dialogical Authentic Netlearning Activity (DIANA -model). The model is developed in the contexts of teacher training and professional education in Finland and it supports high-quality learning, teaching and teachers’ professional growth. Dr. Helena Aarnio introduces the dialogical methodologies for entrepreneurs (DIAMEE -project), and the project participants share their experiences of the joint collaboration and dialogical approach in competence development. Video: A rear view of 18 years of entrepreneurship. Pete Herranen. The Paraiba State Education Secretary Aléssio Trindade, says that the Gira Mundo Finlândia program (basic education teacher training course for teachers of the state education network) is the best existing project for Brazilian teachers, and a national reference. HAMK teachers awarded certificates to Gira Mundo 2017 participants in Paraiba, Brazil. 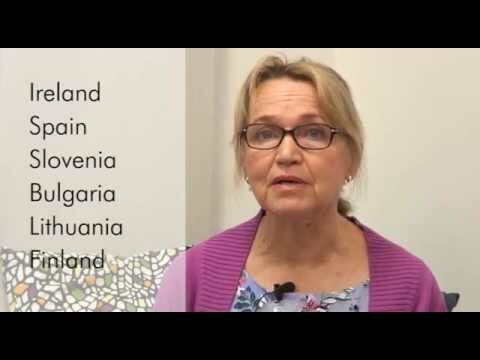 “The projects developed by the participating teachers have proven to be very important, aiming to be beneficial to students and the community” said Seija Mahlamäki-Kultanen, the Dean of HAMK School of Professional Teacher Education. A HAMK team of teachers led by the Dean of HAMK School of Professional Teacher Education Seija Mahlamäki-Kultanen to participate to the Gira Mundo-program ceremony in Paraiba, Brazil August 20-22, receiving finanal competence demonstrations by graduating students and awarding certificates. 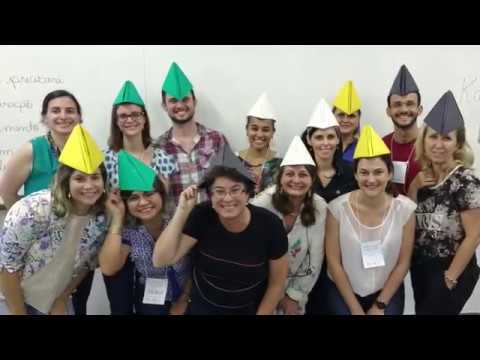 The HAMK Gira Mundo – program graduate Anne Franciare de Queiroz was selected to participate in theCreativity Workshoporganized by the United States Embassy/RELO to be held in Brasilia from April 2nd to 6th. Graduates of the HAMK Gira Mundo Finlandia program are selected put their knowledge to the services of national basic curriculum revision in Brazil. Presentation of the Gira Mundo Finlandia program in Paraiba. HAMK VET Teachers for the Future and FiTT- prorams graduate Julio Page participates in a debate on investment in education in Brazil and in Finland. Governor of Paraíba, Brazil, evaluates the Gira Mundo Finlândia -programme. Reporter Estela Benetti, Diario Catarinese: Dr. Essi Ryymin from Häme University of Applied Sciences presenting educational experiences of Finland in III Seminário Internacional de Educação of FIESC in Florianópolis: Aurora adquire empresa Cocari e outros destaques desta quarta-feira and Educação de alta qualidade é saída para o país no longo prazo (21.10.2015). Talouselmän artikkeli Hämeen Ammattikorkeakoulun opettajankoulutuksen koulutusviennistä Brasiliaan. 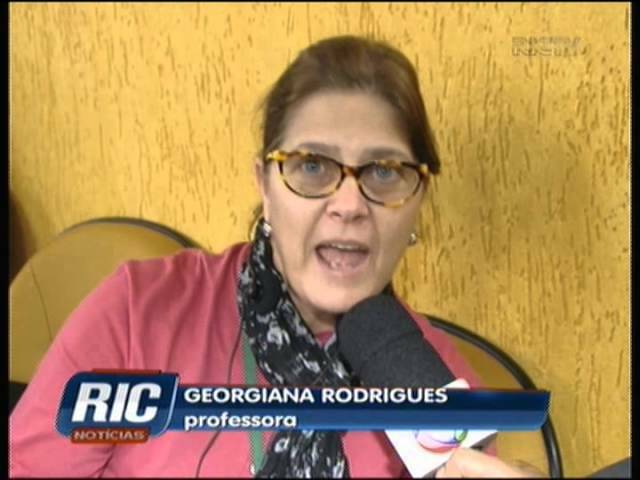 IF Sudeste de Minas Gerais News: Dr. Regina Lianda, graduate from The VET Teachers for the Future – program gives a presentation at III Fórum Mundial de Educação Profissional e Tecnológica, in Recife Brazil. Professora do Câmpus Barbacena, participante do “Programa Professores para o futuro – Finlândia. (12.6.2015). Ryymin, E. (ed.) (2019). Global Teachers Change Paradigms – Practical Paths to New Learning. Häme University of Applied Sciences. Hämeen kirjapaino oy: Tampere. Casari Cundari, P., Friman, M., Räikkönen, M. & Pedersen, J. (2018). Building a Nordic-Latin American cooperation among higher education institutes in Finland, Denmark, and Brazil. Revista Conhecimento Online, Universidade Feevale. Chen, Z. & Ryymin, E. (2018). Made in China 2025 -program and its requirements for VET teachers. HAMK Unlimited Professional 21.12.2018. Chen, Z., Ryymin, E. & Kunnari, I. (2018). Inspirations of Vocational Teachers’ Education from Finland to China. HAMK Unlimited Professional 28.5. 2018. Chen, Z., Ryymin, E. & Kunnari, I. (2018). The Comparisons of Vocational Teacher Education in Finland and China. HAMK Unlimited Professional 18.5.2018. Corado, C. & Ryymin, E. (2018). Building Quality Education and Sustainable Future in Finnish-Brazilian Teacher Education. Finnish Journal of Professional and Vocational Education, Digital Special Edition 20(5), 98-104. D’Andrea, A., Ouverney-King. J., Medeiros, P., Kunnari, I. & Ryymin, E. Gira Mundo Finland: Paraíba State in Educational Policies for Mobility and International Teacher Training Programme. Presentation at FAUBAI-conference (Brazilian Association for International Education), 14.-18.4. 2018, Rio de Janeiro. Eerola, T. (2018). The Pedagogy of Vocational Education responds to Future Skill Needs – The Finnish Educational System. Keynote presented at Successful Pathways from School to Work Conference, 25.-26.3.2018, Haifa. Eerola, T., Tuominen, P. (2018 October 15.) How to get more results from Skills Competitions. In depth session presentation at the World Skills International, General Assembly (WSI GA), Amsterdam. Eerola, T., Tuominen, P. (2018, November 12-14). Developing an Innovativeness Index to Evaluate Versatile Learning Environments. Paper presented at The European Association for Practitioner Research on Improving Learning Conference (EAPRIL), Portorož. Friman, M. & Pöyry-Lassila, P. (2018). Developing Practices for Doctoral Education in International Co-operation. Paper presented at The European Association for Practitioner Research on Improving Learning Conference (EAPRIL), Portorož. Friman, M., Schreiber, D., Syrjänen, R., Kokkonen, E., Mutanen, A. & Salminen, J. (2018). Steering sustainable development in higher education – Outcomes from Brazil and Finland. Journal of Cleaner Production, 186. Jaana Lamberg, Mauri Kantola, Mervi Friman & Ilkka Väänänen (2018). International Collaboration Promoting Publishing Practice-oriented Articles in Higher Education. Paper presented at The European Association for Practitioner Research on Improving Learning Conference (EAPRIL), Portorož. Kunnari, I., D’Andrea, A. F., Ouverney King, J.R., & Ryymin, E. (2018, April 14-18). Gira Mundo Finland: Paraiba State in Educational Policies For Mobility And International Teacher Training Programme. Paper presented at the FAUBAI 2018 Conference, Rio de Janeiro. Kunnari, I., Ilomäki, L. & Toom, A. (2018). Successful Teacher Teams in Change: The Role of Collective Efficacy and Resilience. International Journal of teaching and Learning in Higher Education. Vol. 30, Number 1. Kunnari, I. & Laurikainen, M. (2018, February 20). ePortfolios in Student-centered & Competence-based Education at HAMK. Presented at the ‘Practices on ePortfolio’ dissemination event of the Empowering Eportfolio Process E+ project, Leuven. Kunnari, I., Laurikainen, M. & Salmia, J. (2018, February 20). Students’, Employers’ and Teachers’ perspectives & ePortfolio in Practice – Bioeconomy-ICT students. Workshop at the ‘Practices on ePortfolio’ dissemination event of the Empowering Eportfolio Process E+ project, Leuven. Kunnari, I. & Laurikainen, M. (2018, October 8). Empowering Eportfolio Process. Presented at the EEP Final multiplier event: Strengthening the use of ePortfolio in education and guidance (of the Eportfolio Process E+ project), Aarhus. Kunnari, I. & Ruhalahti, S. (2018, April 14-18). Cultivating Teachers’ Dialogical Competences in Finnish-Brazilian Research And Development Context. Paper presented at the FAUBAI 2018 Conference, Rio de Janeiro. Kunnari, I., Soares-Vieira, A.A. & Laurikainen, M. (2018, April 14-18). Teachers’ Professional Development In Brazil-Finland Partnership. Paper presented at the FAUBAI 2018 Conference, Rio de Janeiro. Passos, M. L. S.; Vieira, A. A. S.; Costa, C. M. C. & Passos Neto, A. V. (2018). Patterns of Collaboration in VET Teacher for the Future Programme, Chort III. EAPRIL 2017 Proceedings, v.4. p.164 – 177. Pukkila, P., Lilja, T., Helander, J. & Uusinoka, S. (2018, October 2-4). Transdisciplinary guidance work in the One-Stop Guidance Centers. Paper presented at International Association for Educational and Vocational Guidance Conference 2018 (IAEVG), Gothenburg. Ruhalahti, S. (2018). Delve Deeper in Learning, The Learner, Athens. Paper presented at The Learner Conference, Athens, 22 – 20 June. Ryymin, E. From Reactivity to Proactivity – How will Teaching Change over the Next 20 Years? Keynote presented at The Future Learning and Innovation in Universities of Applied Sciences Conference, 15.-16.5. 2018, Pori. Ryymin, E. & D’Andrea, A. F. (2018). Pedagogical Goals and Practical Implementations within the Finnish-Brazilian Gira Mundo Finlândia Pilot Programme. HAMK Unlimited Scientific 14.12.2018. Ryymin, E., Korhonen, A.-M. & Laurikainen, M. (2018). 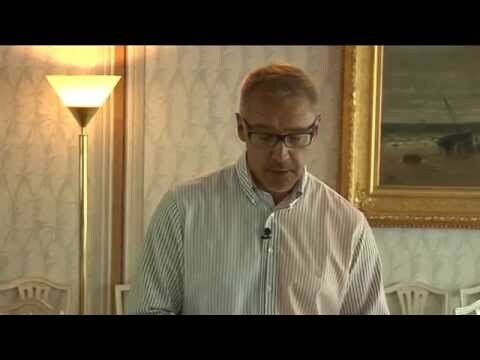 Digital Disruption in Finnish SMEs and Recommendations for Innovative Competence Development. Unpublished Research Report for European “Learning at Work in a Digital Age DC4WORK” -project, Häme University of Applied Sciences (HAMK), Hämeenlinna. Ryymin, E., Laurikainen, M., Kentta, V., Carvalho, C., & Joyce, B. (2018). 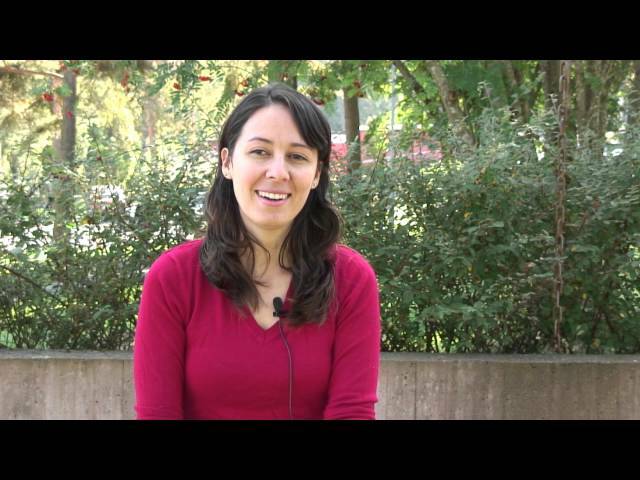 Brazilian teacher students’ motivation, challenges and change by doing. HAMK Unlimited Journal 8.11.2018. Ryymin, E. & Vainio, L. (2018). Successful Collaboration between Higher Education and Working Life requires Pedagogical Competence and Communication Skills from Teachers. Yliopistopedagogiikka 2/2018. Ryymin, E. & Vainio, L. (2018). Innovative Learning Creates Know-How to Regional Challenges. In Miczorek, W. (ed.) A World of Flows: Labour Mobility, Capital and Knowledge in an Age of Global Reversal and Regional Revival (pp.176). Regional Studies Association. Paper presented at RSA Conference, Lugano, 3-6 June. Ryymin, E. (2018). Dialogue, Data, Design – How Global Education Research and Development Drives Educational Innovations. HAMK Unlimited Journal 19.11.2018. Vainio, L. & Ryymin, E. (2018). Developing a Hamkoid through experimentation. HAMK Unlimited Professional 1.6.2018. Vieira, A. A. S.; Costa, C. M. C. & Passos, M. L. S. Curricular innovation: Finnish contribution to rethink Brazilians’ Teacher training Programs. Presentation at FAUBAI Conference Brazilian Association for International Education), 14.-18.4. 2018, Rio de Janeiro. Corado, C., Joyce, B., Laurikainen, M. and Ryymin, E. (eds.) (2017). Gira Mundo Finlândia – Professional Development Certificate Programme Paraíba, Cohort 1 in Häme University of Applied Sciences (HAMK). D’Andrea, A., Ouverney-King, J., Petronio Medeiros F., Ryymin, E. Giramundo Finlândia: Challenges for the 21st Century Education in Paraíba, Brazil. Presentation at EAPRIL (The European Association for Practitioner Research on Improving Learning) Conference, 28.11.-1.12. 2017, Hämeenlinna. Korhonen, A-M., Ruhalahti, S., & Torseke, J. (2017). How to put all my knowledge into words?. HAMK Unlimited Journal 13.12.2017. Kunnari, I., Laurikainen, M., Pires, A. O., & Rodrigues, M. R. (2017). Supporting students’ ePortfolio process in Higher Education. HAMK Unlimited Journal 12.12.2017. Kunnari, I., Laurikainen, M., & Torseke, J. (2017). Triggering students to create ePortfolios. HAMK Unlimited Journal 15.12.2017. Majuri, M. & Tertsunen, T. Leadership, Innovation and Technology – Managing the the Change of Education. Paper presented at The 5th Annual Research Institute of the Aga Khan University, 23.3. 2017, Dar es Salaam. Mattila, H. & Palovaara, M. Finnish Sustainable Communities. Poster presented at The 2nd International Reource Recovery Conference, 5.-9. 2017, New York. Mustonen, L. & Heikkilä, S. The Change Challenges the Teacher – HAMK’s Electronical and Automation Education Develops in Study Modules. Paper presented in The Higher Education Forum, 7.–9.2.2017, Seoul. Poulsen, B. K. & Dimsits, M. (2017). Making sense with ePortfolios. HAMK Unlimited Journal 20.12.2017. Ryymin E. 21st Century Pedagogy – What Does it Mean for Teachers’ Competencies? Keynote presented at The Global Teacher Education VIP Day, 25.8. 2017, Astana World Expo. Ryymin, E., D’Andrea, A. & Ouverney-King, J. (2017). The Co-Operation between Finland and Brazil Boosts New Educational Innovations in The Gira Mundo Finlândia -Professional Development Programme. In Corado, C. Joyce, B., Laurikainen, M. & Ryymin, E. (eds.) Gira Mundo Finlândia -Professional Development Certificate Programme (pp. 20-21). Häme University of Applied Sciences (HAMK). Hermes oy: Tampere. Ryymin, E., Kunnari, I. & D’Andrea, A. (2017). Digital Solutions in Teacher Education enhance Wellbeing and Expertise. Journal of Finnish Universities of Applied Sciences, 1, 2017. Ryymin, E., Augusta, F., Albuquerque, M., Felix, R. G., Araujo, F.G., Lima Junior, I.S., Oliveira, P., Page, J.C., Rovai, R. & Soares, W. Creating Engaging Pedagogical Change. Presentation at EAPRIL (The European Association for Practitioner Research on Improving Learning) Conference, 28.11.-1.12. 2017, Hämeenlinna. Siklander, P., Kangas, M., Ruhalahti, S. & Korva, S. (2017). Exploring Triggers for Arousing Interest in The Online Learning. Paper presented at The 11th annual International Technology, Education and Development Conference 6.-8.3.2017, Valencia. Viskari, M. Recruiting and Developing Teachers and Trainers to Provide High Quality and Relevant TVET. Keynote presented at Conferencia Magistral Impacto de la Formación Professional en El Desarrollo Económico y Social: Experiencia de Finlandia, 29.8. 2017, Santo Domingo. Viskari, M. Developing Technical and Vocational Education and Training: Experience of Finland. Keynote presented at The Inter-American Development Bank Conference (IADB), 13.-14.6.2017, Washington DC. Antonio Petry, C. Santana Pacheco, F., Ribeiro Alves G. & Carlos Felgueiras M. Learning Objects for Demanding Themes in Eletronics Teaching. Paper presented at TAEE Conference (Technology, Learning and Teaching of Electronics), 22.-24.6. 2016, Sevilla. Antonio Petry, C., Santana Pacheco, F., Lohmann, D. Correa A.G. & Moura, P. Project “Teaching beyond Physics”: Integrating Arduino to the Laboratory. Paper presented at TAEE Conference (Technology, Learning and Teaching of Electronics), 22.-24.6. 2016, Sevilla. Gresse von Wangenheim, C., von Wangenheim, A., Santana Pacheco, F., Hauck, J.C.R., Borgatto, A.F. & Missfeldt Filho, R. (2016). Computer Scientists Are Still Imagined To Be Nerds. INCoD – Brazilian Institute for Digital Convergence. Technical Report INCoD/GQS.02.2016.E. Gresse von Wangenheim, C., von Wangenheim, A., Santana Pacheco, F. C. R. Hauck, J. & Ferreira, M. (2015).Design and Experiences with Teaching Physical Computing in Family Workshops. INCoD – Brazilian Institute for Digital Convergence. Technical Report INCoD/GQS.04.2015.E. Korhonen, A.-M. Learning is my Journey – Scaffolding Digital Personal Learning Environments in Teacher Education Context. Paper presented at The 8th Annual International Conference on Education and New Learning Technologies (EDULEARN 16), 4.-6.7.2016, Barcelona. Kunnari, I. & Ryymin, E. Positive Approach for Developing Education – Building the Future. The Final Seminar of the VET Teachers for The Future Professional Development Programme and Workshop in XI Connepi Conference, 6.-9.12. 2016, Maceió. Kunnari, I. & Ryymin, E. Successful Teacher Development in the Digital Era – The Role of Wellbeing and Networked Expertise. Paper presented at The European Association for Practitioner Research on Improving Learning (EAPRIL) Conference, 3.-25.11. 2016, Porto. Kunnari, I. & Ryymin, E. (2016). The Pedagogical Concept of The VET Teachers for the Future. In The VET Teachers for the Future Professional Certificate Programme Alumni Publication (pp.20-21). Häme University of Applied Sciences. Kirjapaino Hermes Oy: Tampere. Kunnari, I. & Ryymin, E. Joyful Teacher and School Development for Successful Change in Pedagogy. Paper presented at The International Leading Passion – Motivation and Work in the Post-Industrial Era Research Conference, 19.-20.4. 2016, Porvoo. 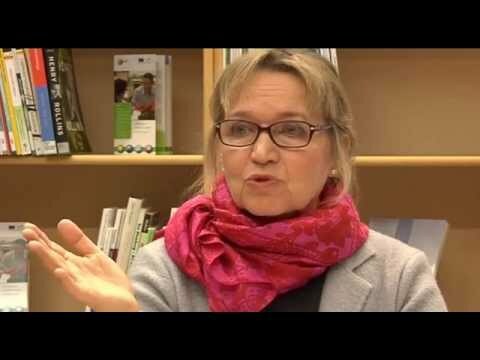 Mahlamäki-Kultanen, S. Teacher Education Reform in Finland. Keynote presented at the XI CONNEPI – IFAL Congresso Norte Nordeste De Pesquisa e Inovação, 6.-9.12. 2016, Maceió. Mahlamäki-Kultanen, S., Viskari, M. & Mäenpää, T. (2016). Development of Teachers’ Competences when Working in Transnational Education. In Vanhanen, R. (Ed.) Export of Education by Finnish Universities of Applied Sciences, Reflections on Best Practices (pp.66-75). JAMK University of Applied Sciences: Suomen Yliopistopaino Oy. Pelachim Lianda R.L.. Implementando abordagem centrada no estudante e metodologia abp em estudos de química orgãnica. Poster presented at The Problem-Based Learning and Active Learning Methodologies, Pan-American Network For Problem-Based Lerning (PAN-PBL), 8.-10.9. 2016, São Paulo. Pelachim Lianda R.L., Pereira, N.C., Fonseca Dinali, L.A., Oliveira de Paula, A.F., Dinali, W., Ryymin, E. & Joyce, B. Implementing Student-Centered Approach and Project-Based Learning (PBL) in Organic Chemistry Studies. Paper presented at The Problem-Based Learning and Active Learning Methodologies, Pan-American Network For Problem-Based Lerning Conference (PAN-PBL), 8.-10.9. 2016, São Paulo. Ruhalahti, S., Korhonen, A.M. & Ruokamo, H. (2016). The Dialogical Authentic Netlearning Activity (DIANA) Model for Collaborative Knowledge Construction in MOOC. The Online Journal of Distance Education and e-Learning, 4, 2. Ruhalahti, S., Kunnari, I. & Korhonen, A-M. How to Deepen Competence Development through Autentic and Dialogical Learning in Digital Learning Environments? Paper presented at The The European Association for Practitioner Research on Improving Learning (EAPRIL) Conference, 3.-25.11. 2016, Porto. Ryymin, E. Opettaja työelämän kumppanina ja tulevaisuuden osaamisen kehitäjänä. Esitys Helsingin seudun kauppakamarin Ennakointikamarissa, 27. syyskuuta 2016, Helsinki. Uebe Mansur, A., Ryymin, E., Joyce, B. & Ruhalahti, S. Project-Based Learning Applied in Brazilian Entrepreneurship Class: A Model from Finnish-Brazilian Case Study. Paper presented at The 2nd International Conference on Advances in Education and Social Sciences (ADVED16), 10.-12.10. 2016, Istanbul. Ueber Mansur, A.F., Joyce, B., Biazus V. M.C. and Siqueira, E.L.G. Results Analysis from Peer Assessment for Entrepreneurship’s PBL class in Business Management Undergraduate Course (pp. 244-251). Paper presented at The 8th International Symposium on Project Approaches in Engineering Education, 6.-8.7. 2016, Guimarãe. Chen, Z. (2015). The Differences of Schools’ Influencing Factors Acting on Chinese and German Learning Process. Göttingen: Cuvillier Verlag. Chen, Z. (2015). The new analysis of differences among lifelong learning, lifelong education and learning society. Scholarly Research Journal for Humanity Science & English Language, 2015, 2(10), 2601-2607. Chen, Z. & Sonawane, S. (2015). The new understanding and analysis of features and contents of grounded theory. Scholarly Research Journal for Interdisciplinary Studies, 2015, 3(19), 344-351. Correia, A., Ryymin, E., Pacheco, F., Aarreniemi-Jokipelto, P. & Joyce, B. (2015). A Strategy to Increase Students’ Motivation and Decrease Dropout Rates on Computer Programming Courses in a Public Institute of Education and Technology. In S. Carliner, C. Fulford & N. Ostashewski (eds. ), Proceedings of EdMedia: World Conference on Eductional Media and Technology 2015 (pp.1267-1272). Association for the Advancement of Computing in Eduction (AACE). de Melo Filho, I., Gomes, A.S., Joyce, B., Korhonen A-M & Ryymin, E. (2015). Integration service development of informallearning activities within the distance education in Brazil​. In A. Suominen, H. Toivanen & M. Nieminen (eds.) Innovation policies for economic and social transitions: Developing strategies for knowledge, practices and organizations (pp. 414-418) . VTT oy: Espoo. Kunnari, I. 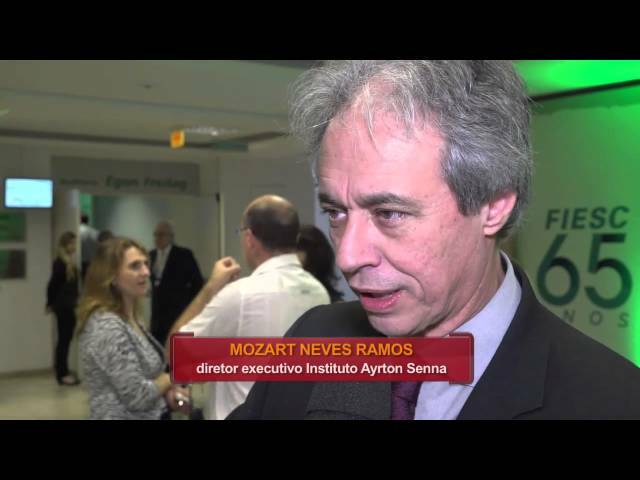 & Ryymin, E. Promoting Science and Education between Brazil and Finland by Applied Research. Paper presented at Conferência Internacional de Educação Professional do IFPB Instituto Federal, 9-11.12. 2015, João Pessoa. Mahlamäki-Kultanen, S., Joyce, B., Ryymin, E., Viskari, M. & Heikkilä, L. (2015). Brazilian VET teachers’ strategies to transfer their learning in a Finnish-Brazilian teacher education programme. Journal of Finnish Universities of Applied Sciences, 3, 2015. Mahlamäki-Kultanen, S. (ed.) (2015). VET Teachers for the Future – Professional Deveopment Certificate Programme in Häme University of Applied Sciences (HAMK) & Tampere University of Applied Sciences (TAMK). HAMK AOKK:n julkaisuja 3/2015. ​Majuri, M., Ryymin, E., Viskari, M. & Kokkomäki, J. (2015). Researching Professional Excellence Regionally, Nationally and Globally​. In Mustonen, L. (ed.) International Collaboration – Towards Joint Research Acitivites (pp. 11-16). HAMK Publications 6/2015. Tammperprint oy: Tampere. Ryymin, E., Eerola, T. & Majuri, M. (2015.) Ammatillisen huippuosaamisen tutkimuksesta ja ammattitaitokilpailuista näkökulmia tulevaisuuden työelämän osaamisen kehittämiseen. Ammattikasvatuksen aikakauskirjan erikoisnumero, 17, 76-84. Ryymin, E., Kunnari, I. & Viskari, M. Design-Based Implementation Research in Education Business. Paper presented at The National Research Conference of Universities of Applied Sciences and Vocational Education (AMK- ja Ammatillisen koulutuksen tutkimuspäivät), 23.-24.11. 2015, Helsinki. Ryymin, E. & Kunnari, I. (2015). Developing Networked Expertise for Educational Innovations – Brazilian Teachers in Finnish Learning Environment. Paper presented at The International Conference of Education (LICE-2015), 9.-11.11. 2015, London. Ryymin, E. Teacher Education and Co-Operation with Enterprises and Industries. Keynote presented at III Seminário Internacional de Educação – A Força da Indústria Catarinese (FIESC), 20.-21.10. 2015, Florianópolis. Ryymin, E. Tulevaisuuden oppija. Paper presented at YAMK-koulutus vahvaksi TKI -vaikuttajaksi Seminar, 2.-3.12. 2015, Hämeenlinna. Ryymin, E., Corado, C., Joyce, B., Kokkomäki, J., Kunnari, I., Laurikainen, M., Lianda, R & Viskari, M. (2015). Finnish-Brazilian Learning Process as an Experimental Path towards Pedagogical Change. Paper presented at The 8th Nordic Latin American Research Network (NOLAN) Conference, 11.-13.6.2015, Helsinki. Ruhalahti, S. How to Build 21st Teacher Education? Paper presented at The Danish Learning Festival, 3.3.2015, Copenhagen. Correia, A. R. S., Padmanabhan, R. Oliveira, M.C., Alves, J.L. & Menezes, L.F. (2010). Towards a Blank Shape Optimization: Enhancement of Procedure and FE Solver. In: 2nd International Conference on Engineering Opmization Book of proceedings (pp.187-187). Mahlamäki-Kultanen, S. (ed.) (2014). 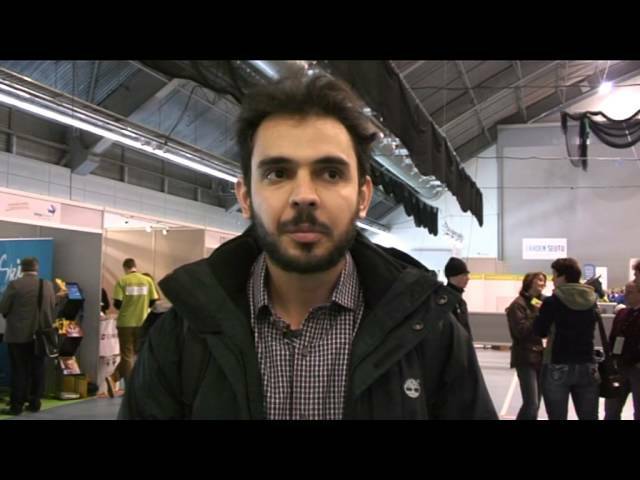 The Bolashak Fellowship Program in HAMK University of Applied Sciences Finland, 2013-2015. HAMKin e-julkaisuja 22/2014. Ryymin, E. (2014). Tulevaisuuden opettaja. Teoksessa Korhonen, A-M. & Ruhalahti, S. (Toim.) Oppimisen Digiagentit (pp.9-14). HAMKin e-julkaisuja 40/2014. Hämeen Ammattikorkeakoulu. Eerola, T. (ed.) (2013). Towards Vocational Top Expertise. HAMK University of Applied Sciences. Tammerprint oy: Tampere. Hulkari, K. & Mahlamäki-Kultanen, S. (2008). Reflection through web discussions: assessing nursing students’ work-based learning. Journal of Workplace Learning 20 (3), 157–164. Lianda, R.L.P. (2009). Perfil de Substâncias Fenólicas de Méis Brasileiros por Cromatografia Líquida de Alta Eficiência e Avaliação do Potencial Antioxidante​​​. ​Tese de Doutorado​. Seropédica: Universidade Federal Rural do Rio de Janeiro. Lianda, R.L.P. & Castro, R.N. (2008). Isolamento e identificação da morina em mel brasileiro de Apis mellifera​. Quím. Nova [online]. Vol.31, n. 6, pp. 1472-1475. Mahlamäki-Kultanen, S. & Majuri, M. (2013). A Transition in the Management of Vocational Education: from Rector Institutions to Partnerships. In Aaltonen, K., Isacsson, A., Laukia, J., Vanhanen-Nuutinen, L. (In.) Practical Skills, Education and Development – Vocational Training education and training in Finland. Haaga-Helia: Helsinki. 64-74. Mahlamäki-Kultanen, S. (2006). Skills demonstrations – a possibility for meaningful cooperation with entrepreneurs in the internationalising vocational education. In A. Fayolle & H. Klantdt (eds.) Inter-national Entrepreneurship Education. Issues and Newness. Edward Elgar Publishing. Cheltenham, 155–167. Ryymin, E. (2008). Teachers’ Intelligent Networks. Study of Relationship-based Professional Development supported by Collaborative Learning Technologies. Academic Dissertation. Acta Universitatis Tamperensis 1336. Tampere: Tampere University Press. Responding to the new EU Council Recommendation on Key Competences for Lifelong Learning (2018), the SOSTRA project is seeking an innovative way to intertwine digital badge-driven learning approaches and competence-based education into soft skills development in the field of European adult education. The project partners include six organizations from Finland, Italy, Poland, Romania and Spain. HAMK School of Professional Teacher Education is the project coordinator of the SOSTRA project. By joint actions the partners aim to support adult educators, training companies, school-based training centres, training consultants and HR staff in achieving a better understanding of the needs and importance of soft skills in their daily activities and of their further development. The project “Work-based Learning in the Digital Age – Promoting Digital Competences for Employability and Innovations” is an European union funded (ERASMUS + KA2 Stratgic Partnerships) development project in the frame of the European Digital Competence Framework “DigComp 2.0”. Developing Teacher Education and Open and Distance Learning Solution in co-operation with Nepalese partner network and Jyväskylä University of Applied Sciences (JAMK). The project is funded by the Higher Education Institutions Institutional Cooperation Instrument (HEI ICI) from National Board of Education, Finland. See more on webpages here. EAPRIL is unique in bringing together those interested in the crossroads between research and practice but also between education and professional learning. EAPRIL brings together two unique sub networks that focus on learning in two specific contexts: Education and Learning in Schools and Corporate Learning.Both parallel streams have their own activities but share the same goal. Our annual Conference offers activities allowing to interconnect and exchange research and experience with fellow researchers and practitioners across this variety of fields. ​The ritical points of quality learning in competence-based education are assess­ment practices that are aligned with desired competences in Higher Education. EEP has identified a need to develop assessment of competences towards stu­dent centeredness by ensuring empowerment of students in their learning pro­cess and developing digital competences of students, teachers and HE institutes. There is a common need to strengthen the use of digital tools in assessment and to develop the participation of work life representatives in learning processes. HAMK Professional Excellence Research Unit has established an initiative “TanFiDe – Consortium for Quality Education in Tanzania” with Danish Via University College. The goal is to develop evidence-based and participatory teacher education and assessment in international co-operation. The project group represents a wide network of educators, researcher and educational authorities of Tanzanian universities, colleges, NGOs and local schools. Project See the Goal is a EU-funded transnational project in the Erasmus KA2 programme. It supports vocational students, training companies, school-based training centers, training consultants and VET teachers in achieving better understanding of the learning outcomes in workplaces, as well as adapting learning outcomes more transparently and consistently to practice. For this purpose the project aims following outcomes: film production of exemplarily learning outcomes, script guidelines for amateur film recordings of learning outcomes and pedagogical practices of training, students’ self-assessment and technical and ethical handling of film. Mapping was a transfer-of-innovation project under the EU´s program Lifelong Learning, focusing on individualized learning in vocational education and training. The project partners from Finland, Denmark, Slovenia, United Kingdom / Wales and Holland exchange experiences, transfer best practice cases and co-create innovation as a contribution to the European strategy 2020, Bruges Communiqué. The results contributed to the European priority of improving quality assurance systems in VET. The goal of the project is an effective implementation of the national School Sector Reform Plan 2009-2015 leading to quality education for all in Nepal and competence development of Tribhuvan University Faculty of Education (TU-FoE) to implement the Teacher Qualification Upgrading Program for 13,000 working teachers in Nepal. The project is funded by the Higher Education Institutions Institutional Cooperation Instrument (HEI ICI), National Board of Education, Finland. Through Finland-Vietnam teacher education development network, Quang Tri Teacher Training College QTTTC’s competences are further strengthened in building diverse learning environments and labour market cooperation in the region. The results of the project are 1) Improved ICT & Learning Resource Centre (LRC) facilities supporting diversification of learning for students, 2) Through project-based learning approach, a regional partnership network developed contributing to students learning and staff professional development and 3) Working methods, results and immediate impact of the teacher education development network is monitored and assessed. ​Partners are JAMK University of applied Sciences and Quang Tri Teacher Training College, Ho Chi Minh University of Technlogy . The developed the dialogical competence of entrepreneurship trainers and coaches through concrete methods. The development work is based on extensive research and a web service that supports the training of dialogical competence. A concrete result was the web service for further dissemination and exploitation, method descriptions of dialogue learning, training programme and other online material related to learning dialogue. The project was carried out in collaboration with six institutions from different European countries who were Spain Finland, Slovenia, Bulgaria, Ireland and Lithuania. The DIALE project concentrates on the transfer of unique and active pedagogical innovation, independent of the field of education and focusing on vocational teachers, trainers, tutors and the improvement of teacher education. In addition, the target group includes in-company trainers and teachers working in further education services. Skills in dialogue can be used in teaching and guidance work in classroom and distance education, work mentoring and cooperation, independent of the field of the activities. The goal of the DIALE project is to develop the competence of trainers, teachers, teacher trainers and in-company trainers in dialogue through concrete methods. Practical operations: – Translation of deep learning through a dialogue web service (EN) – Developing concrete methods in dialogue (4 sub-groups) – Piloting and testing the developed methods – Planning the training program for the development of competence in dialogue The DIALE project uses tools and applications of social media for development work as well as project planning and coordination. The project is coordinated by HAMK Vocational Teacher Education Unit and partly funded by the LLP/ Leonardo da Vinci programme. ​Partners: ​STOAS, Netherlands, Groen Horst College (NL), CALMAR, Ireland CEEI. Spain TRISYS Ltd (CY)​. The goal of this project is to develop a web-based tool – ‘TrainerGuide’ -, a digital handbook and toolbox for the primary target group in-company trainers. This guide will be based on the successful results of a Danish model project (Danish Ministry of Education, 2006), whose principles will be transferred to the partner countries’ needs and conditions. The partner countries in this project are countries with a dual VET system, or countries whose VET systems have needs and goals that could be supported by a TrainerGuide. The partner countries will end up with national TrainerGuide versions each in their own language. The long-term vision is to create a sustainable platform for an ongoing co-operation and co-ordination between the partner countries and other European countries. The European TrainerGuide may become a practical rotation point for this purpose. Partners: DEL The Danish Institute for Educational Training of Vocational Teachers (Coordinator), DIHK- Gesellschaft für berufliche Bildung, Germany, BIBB – Bundesinstitut für Berufsbildung, Centre of expertise on vocational education, training and labour market for the technical field, Muğla University, Technical Education Faculty​.